A pattern with a mix of swirls and feathers. 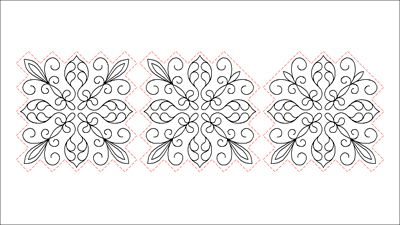 this pattern was designed for a Triple Irish Chain with squares of 1½" and margins of .25 inches. However - it can easily be resized.